I love Bill Bryson books. They are all informative, interesting, humorous, and entertaining. There is so much knowledge and little tid bits in each of his books that it’s amazing. You’ll learn more in one sitting than you ever did in high school and you’ll enjoy it too! Cold weather days call for a fire, something warm to drink, and something a bit atmospheric to read. It never hurts to throw in some mystery that needs untangling. This book fits the bill. Harold Fry walks off his front lawn and down the sidewalk leaving his wife behind. He decides, on a whim, that he will keep walking with nothing but the clothes on his back. When his wife comes looking for him, he’s gone. Follow along on Harold’s unlikely pilgrimage. “When a white servant girl violates the order of plantation society, she unleashes a tragedy that exposes the worst and best in the people she has come to call her family.” This book will take you through a whirlwind of all the feels. “In an unnamed South American country, a world-renowned soprano sings at a birthday party in honor of a visiting Japanese industrial titan…” Their party is interrupted by a band of terrorists, some no older than teenagers. This book will take you inside the hearts of everyone from hostage to criminal and leave you wondering just who is wrong and who is right. What’s the weather like where you are? Any signs of spring yet? The weather is pretty warm in NJ this week, although I hear it’s supposed to drop again next week. 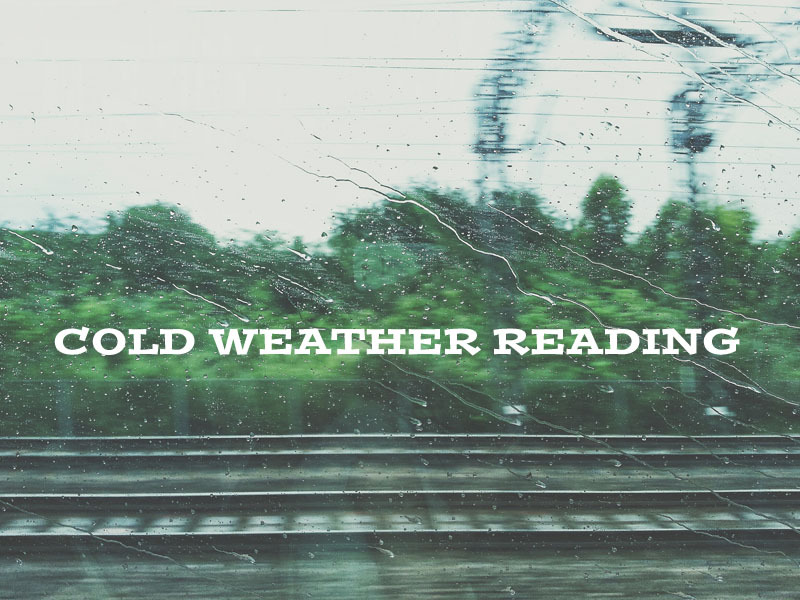 It’s so interesting to see what kinds of books people like to read in the colder months. I read The Snow Child a few weeks ago because I was determined to read it when the weather sort of matched the story! I’m the same way! I love to read books set in the same season that I’m in. I do this for holidays too- reading horror during October. Snow flurries?? Gah! The weather is quite indecisive at the moment. It can’t decide if it wants to be warm or cool, sunny or cloudy, dry or rainy. So it flip-flops all week, which means Spring is coming, or is already here. Probably already here since the cherry blossom trees are in bloom and my sneezes and sniffles have returned. We have been going back and forth too. It’s torture. We have one day of warm temps and the next day it’s raining. Can’t wait for sun every day!